The U.S. case against the chief financial officer of China’s Huawei Technologies, who was arrested in Canada last month, centres on the company’s suspected ties to two obscure companies. One is a telecom equipment seller that operated in Tehran; the other is that firm’s owner, a holding company registered in Mauritius. The U.S. case against the chief financial officer of China's Huawei Technologies, who was arrested in Canada last month, centres on the company's suspected ties to two obscure companies. One is a telecom equipment seller that operated in Tehran; the other is that firm's owner, a holding company registered in Mauritius. U.S. authorities allege CFO Meng Wanzhou deceived international banks into clearing transactions with Iran by claiming the two companies were independent of Huawei, when in fact Huawei controlled them. Huawei has maintained the two are independent: equipment seller Skycom Tech Co. Ltd. and shell company Canicula Holdings Ltd. The documents reveal that a high-level Huawei executive appears to have been appointed Skycom's Iran manager. They also show that at least three Chinese-named individuals had signing rights for both Huawei and Skycom bank accounts in Iran. Reuters also discovered that a Middle Eastern lawyer said Huawei conducted operations in Syria through Canicula. The previously unreported ties between Huawei and the two companies could bear on the U.S. case against Meng, who is the daughter of Huawei founder Ren Zhengfei, by further undermining Huawei's claims that Skycom was merely an arms-length business partner. Huawei, U.S. authorities assert, retained control of Skycom, using it to sell telecom equipment to Iran and move money out via the international banking system. As a result of the deception, U.S. authorities say, banks unwittingly cleared hundreds of millions of dollars of transactions that potentially violated economic sanctions Washington had in place at the time against doing business with Iran. Meng did not respond to a request for comment by Reuters, and Huawei declined to answer questions for this story. Canicula's offices could not be reached. A Justice Department spokesman in Washington declined to comment. Meng was released on C$10 million ($7.5 million) bail on Dec. 11 and remains in Vancouver while Washington tries to extradite her. In the United States, Meng would face charges in connection with an alleged conspiracy to defraud multiple financial institutions, with a maximum sentence of 30 years for each charge. The exact charges have not been made public. Huawei said last month it has been given little information about the U.S. allegations "and is not aware of any wrongdoing by Ms. Meng." The company has described its relationship with Skycom as "a normal business partnership." It has said it has fully complied with all laws and regulations and required Skycom to do the same. Meng's arrest on a U.S. warrant has caused an uproar in China. It comes at a time of growing trade and military tensions between Washington and Beijing, and amid worries by U.S. intelligence that Huawei's telecommunications equipment could contain "backdoors" for Chinese espionage. Articles published by Reuters in 2012 and in 2013 here about Huawei, Skycom and Meng figure prominently in the U.S. case against her. Reuters reported that Skycom had offered to sell at least 1.3 million euros worth of embargoed Hewlett-Packard computer equipment to Iran's largest mobile-phone operator in 2010. At least 13 pages of the proposal were marked "Huawei confidential" and carried Huawei's logo. Huawei has said neither it nor Skycom ultimately provided the U.S. equipment. Reuters also reported numerous financial and personnel links between Huawei and Skycom, including that Meng had served on Skycom's board of directors between February 2008 and April 2009. 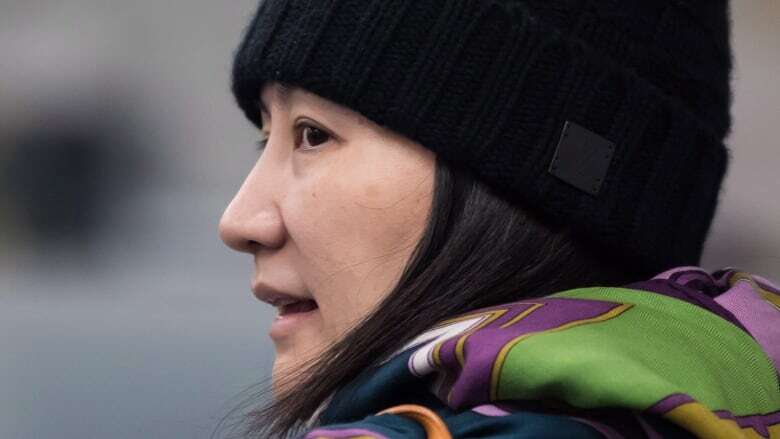 Several banks questioned Huawei about the Reuters articles, according to court documents filed by Canadian authorities at the request of the U.S. for Meng's bail hearing in Vancouver last month. According to the documents, U.S. investigators allege that in responding to the banks, which weren't named, Meng and other Huawei employees "repeatedly lied" about the company's relationship with Skycom and failed to disclose that "Skycom was entirely controlled by Huawei." U.S. authorities also allege that at a private meeting with a bank executive, in or about August 2013, Meng said Huawei had sold its shares in Skycom, but didn't disclose that the buyer was "a company also controlled by Huawei." The court documents allege that Huawei told the executive's bank that the Chinese company had sold its shares in Skycom in 2009 — the same year Meng stepped down from Skycom's board. Skycom's buyer wasn't identified in the documents. But Skycom records filed in Hong Kong, where the company was registered, show that its shares were transferred in November 2007 to Canicula, which was registered in Mauritius in 2006. Canicula continued to hold Skycom shares for about a decade, Skycom records show. A "Summary of Facts" filed by U.S. authorities for Meng's Canadian bail hearing states: "Documents and email records show that persons listed as 'Managing Directors' for Skycom were Huawei employees." None of those individuals were named. Shi, now president of Huawei's software business unit, hung up the phone when Reuters asked him about his relationship with Skycom. Many corporate records filed by Skycom in Iran list signatories for its bank accounts in the country. Most of the names are Chinese; at least three of the individuals had signing rights for both Skycom and Huawei bank accounts. (One of the names is listed in the Iranian registry with two slightly different spellings but has the same passport number.) U.S. authorities allege in the court documents filed in Canada that Huawei employees were signatories on Skycom bank accounts between 2007 and 2013. Records in Hong Kong show that Skycom was voluntarily liquidated in June 2017 and that Canicula was paid about $132,000 as part of the resolution. The liquidator, Chan Leung Lee of BDO Ltd. in Hong Kong, declined to comment. Until two years ago, Canicula had an office in Syria, another country that has been subject to U.S. and European Union sanctions. In May 2014, a Middle Eastern business website called Aliqtisadi.com published a brief article about the dissolution of a Huawei company in Syria that specialized in automated teller machine (ATM) equipment. Osama Karawani, an attorney who was identified as the appointed liquidator, wrote a letter asking for a correction, stating that the article had caused "serious damage" to Huawei. "Huawei was never dissolved," he wrote, adding that it "has been and is still operating in Syria through several companies which are Huawei Technologies Ltd and Canicula Holdings Ltd." Huawei Technologies is one of Huawei's main operating companies. Karawani didn't respond to emailed questions from Reuters about Canicula. U.S. investigators are aware of Canicula's connection to Syria, according to a person familiar with the probe. Canicula had an office in Damascus and operated in Syria on behalf of Huawei, another person said. That person said Canicula's customers there included three major telecommunications companies. One is MTN Syria, controlled by South Africa's MTN Group Ltd, which has mobile phone operations in both Syria and Iran. MTN has a joint venture in Iran — MTN Irancell — that is also a Huawei customer. MTN advised Huawei on setting up the structure of Skycom's office in Iran, according to another source familiar with the matter. "Skycom was just a front" for Huawei, the person said. In December 2017, a notice was placed in a Syrian newspaper by "the General Director of the branch of the company Canicula Ltd." He was not named. It announced that Canicula had "totally stopped operating" in Syria two months before. No explanation was given.